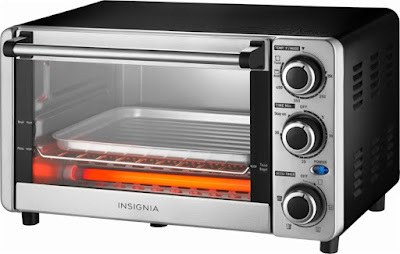 Today, February 16th only, Best Buy where they are offering up this Insignia 4-Slice Toaster Oven in Stainless Steel for just $19.99 (Retail $59.99)! This toaster has an Accu-Timer knob that lets you set a desired brownness for breads and it has bake and broil functions for cooking various recipes. It also features two rack levels to accommodate a larger batch of items for baking or toasting.